Lord we seek you this morning. Some of us are struggling right now Lord, and we cry out for help. 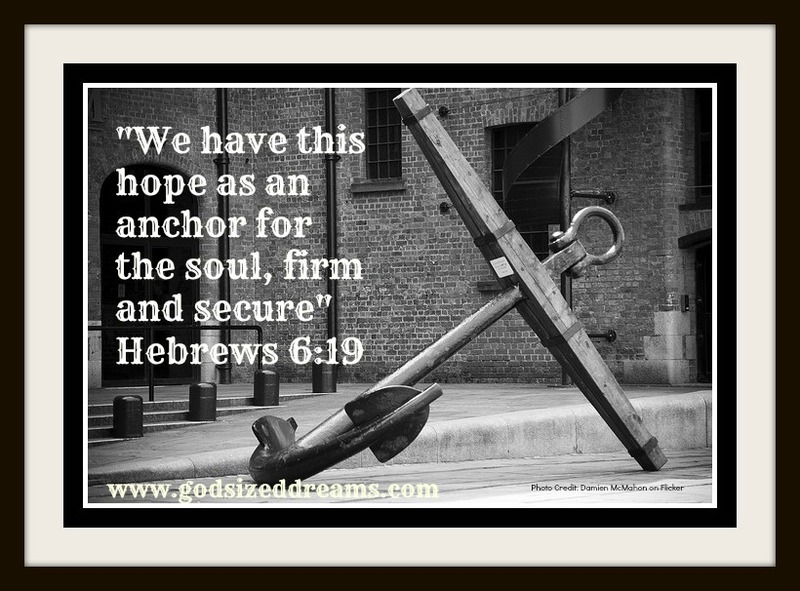 But we are reminded in Your Word that You are our hope, an anchor for our soul. So Lord we ask that You renew us again with that hope. We thank You for loving us and for being our firm foundation. Regardless of what we might be facing today Lord may we remember that You are in control and You have us in the palm of Your hand. Today we rest in that. In the Almighty name of Jesus – AMEN.